SEAWAY CHINA IS HEADED TO SOUTHERN CALIFORNIA! Our Royal Doulton Convention and Auction in Orlando, Florida was such a huge success, we’re doing it again this summer! 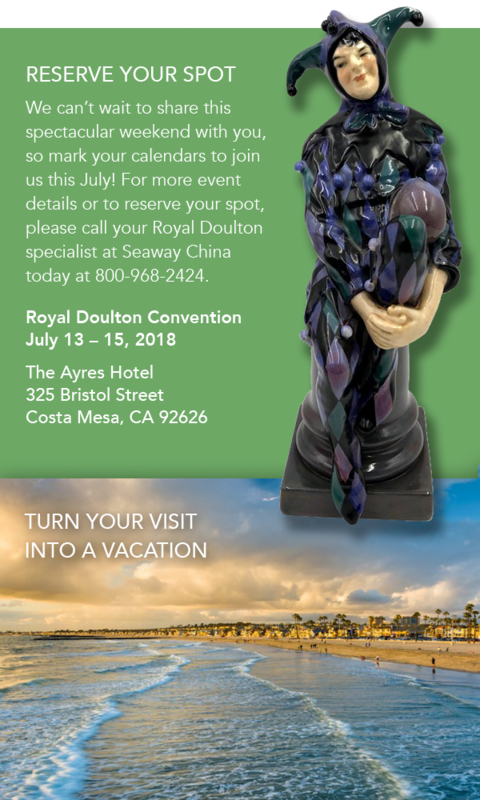 This time we’re taking our latest selection of Royal Doulton and other treasures to the sunny shores of Costa Mesa, California. Reconnect with us and your fellow collectors for three days of shopping, delicious food, a live auction and fun times with friends. Bid on your next treasure during our live auction presented by Whitley’s Auctioneers. A brand new selection of pieces have been consigned by estates from around the globe, and any one of them could be yours if you’re the highest bidder. For your convenience, you’ll have the option of bidding on these items at the convention, over the phone or online. Our favorite Royal Doulton authority and author will be leading a series of round table discussions about the Meticulously-curated collection of Royal Doulton for sale during the show. He will also be on hand to assist you in choosing the perfect treasure to bid on at our live auction. 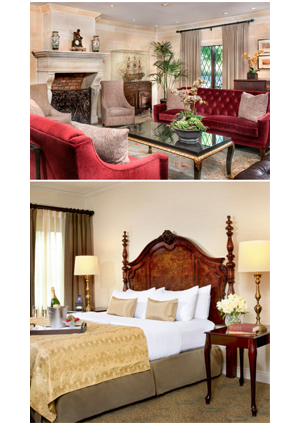 Our venue and host hotel for this exciting weekend will be The Ayres Hotel. Just minutes from the John Wayne Airport and set in the heart of Orange County’s arts and theater district, you’ll be close to a variety of art galleries and other cultural destinations. There are also miles of pristine beaches nearby as well as golf courses, Knott’s Berry Farm and Disneyland. 1-800-322-9992 and request the Seaway China rate.